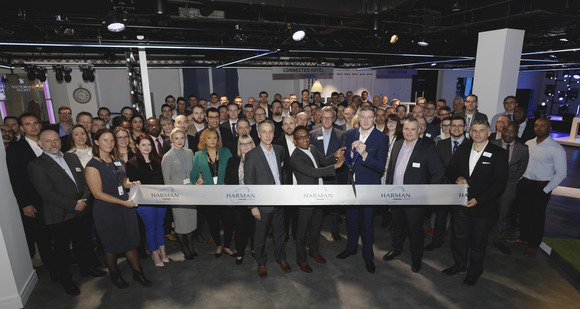 (NORTHRIDGE, Calif. & LONDON) —HARMAN Professional Solutions, the global leader in audio, video, lighting and control systems, including networked AV, today announced the grand opening of the HARMAN Experience Center – London. 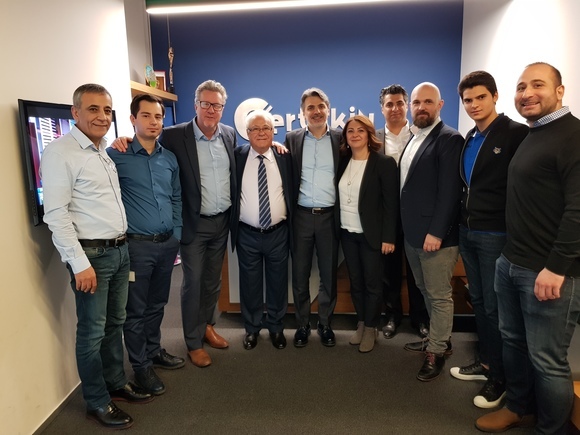 The new facility expands the growing global network of HARMAN Professional Solutions Experience Centers, including locations in Los Angeles, Singapore and Shanghai, and will serve as the new headquarters for the EMEA region. Designed to showcase how HARMAN solutions uniquely address customer needs across a variety of entertainment and enterprise market applications, the 25,800-square-foot (2,400-square-meter), multi-functional facility including EMEA headquarter offices, demonstrates the integration of brands including JBL Professional®, AKG Acoustics®, AMX®, BSS Audio®, Crown International®, dbx Professional®, DigiTech®, Lexicon Pro®, Martin®, Soundcraft® and Studer®. The HARMAN Experience Center—London is comprised of several dedicated spaces along with the EMEA office space and meeting rooms.The Product Showroom is filled with HARMAN solutions including HARMAN’s Connected Retail Experience, Huddle Space, Connected Hotel Room, Home Recording, Networked AVoIP, and much more. The Foyer, Boardroom and Auditorium are not only practical-use spaces, but also areas that demonstrate HARMAN solutions for restaurant, corporate, education, corporate, and theatre environments. The HARMAN Experience Center—London is open by appointment only to HARMAN and Samsung customers, employees, distributors, sales representatives, dealers, artists and other industry professionals for meetings, performances, productions, hospitality events, and more. The HARMAN offices and Experience Center is located at Westside, London Road, Hemel Hempstead, HP3 9TD. For more information, contact European.Marketing@Harman.com.